Your equipment could mean the difference between an accurate kill or simply giving away your location and anonymity. A good quality thermal optics scope is invaluable when out in the field. Quite literally your sight in the dark - vital equipment to any successful hunter. Today the market has become saturated with options and choosing a thermal vision companion is no shot in the dark (pun intended). We have taken the liberty of comparing and reviewing three sensors we personally recommend you take a closer look at. FLIR is the leading brand in thermal optic technology and recently debuted their newest thermal sensor known as the Boson Core. Let’s take a look at what makes this device so unique and why it’s currently the talk of the hunting town. The Boson Core is a first in some of the technologies housed in its tiny exterior. Expandable infrared video enables the most advanced image processing known to date while simultaneously working with peripheral sensors and communicatory devices. It gives you the option of a variety of lenses and shutter options. It’s among the first of its kind to operate at full function in temperatures ranging from the extreme -40 to +80°F. The intelligence behind the Boson is something FLIR has been working on for years. For it to finally be at your fingertips, powering the thermal viewers we know and love is a hunters blessing. When it comes to thermal optics ‘micron pixel’ is a term that demands attention. When a thermal imaging device is designed around a smaller microbolemeter it allows the user to fit smaller lenses when using the unit. This reduces cost of equipment and saves a hunter on costs in the long run. Smaller lenses are cheaper and easier to lug around in the field. Size-conscious microbolemeters are a growing point of interest amongst the thermal optics community. The smaller the better. What it really comes down to is how the thermal viewer performs in target detection when put to use in the field. The FLIR PTS233 is one of the units powered by the Boson Core intelligence. The precision imagery can detect a human size (give or take) target up to 300 yards away. With the upgraded lenses on the PTS536 and PTS736 that range is even longer. The PTS536 and PTS736 feature a 50mm lens and 75mm lenses with 4x and 6x optical magnification. The RS32 and RS64 units vary in ability depending on your lens of choice. The RS64 is more focused around extreme long-distance imaging especially if you are using 35mm and 60mm lens which also has 16x digital zoom. This allows you to zoom in even closer on targets and with the 640x480 thermal resolution even when using the digital zoom your image quality will be clear. Another critical factor to consider in a thermal viewer is the rate at which the device is able to refresh itself. A fast moving target requires faster refresh rates for accurate image relaying. In spite of the RS64 having higher thermal resolution its refresh rate is only 30Hz. The RS32 outshines with a whopping 60Hz refresh rate, double that of the RS64. The PTS233 (and other PTS models) matches that of the RS32 also at 60Hz. The battery lives of the RS64, RS32 and PTS233 are relatively the same. At full charge the units will run up to four hours of continued use before the battery packs need to be recharged. The RS64 and RS32 battery packs are not interchangeable and need to be recharged using the built in USB port. I would say built in batteries may be better because you could buy external USB charger for less than $30 and use it to recharge scope on the go. In contrast the PTS233 batteries (CR123Ax2) are completely swappable; here though we suggest buying re-chargeable batteries or an external battery pack to save money over the long run. The PTS233 has the feature of a low power mode that can be activated in order to extend this four-hour run time even further. 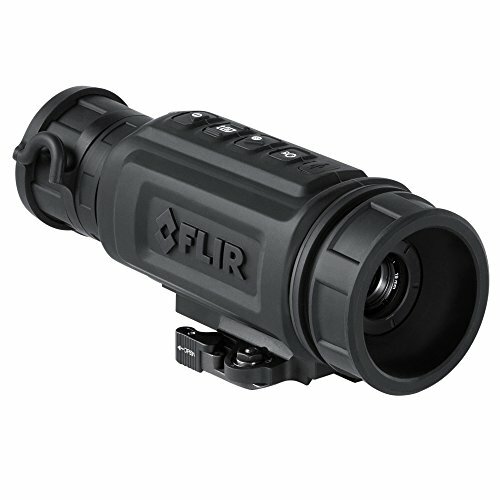 Unfortunately, these ranges of FLIR units are not preinstalled with the Bluetooth and WiFi connectivity technology present in some of the other thermal optics devices. This is no doubt to keep costs low and the product as affordable as possible. Hunters seeking to live stream their footage will have to seek additional technology to add to their setup. On the bright side the PTS233 does feature a new USB-C connector which is a first for these types of technological devices. Another standard feature across the FLIR range (sans the PS32-R series) is the ability to video record the imagery being processed through the viewfinder. Through video output features all three of our units have this ability and simply require a connection cable in order to link them to your choice of DVR device, which will in turn record the respective imagery. The PTS233 is the only unit that can store actual footage within the unit itself, free of a cable. Up to 2 ½ hours of video recording or 1000 still images can be held in the unit. The PTS line also has shot activated recording so that all of your shots are automatically recorded. This little device really is cutting edge in terms of thermal imaging technology. It is one of the first 12 μm pixel pitch scopes on the market and it’s affordable. Powered by the Boson Core, the PTS233’s microbolometer offers users the luxury of a range of considerably smaller, interchangeable lenses making possibilities in the field endless. The recent release of its newest model saw online forums and reviews go through the roof with positive feedback & excitement. People are especially impressed by its affordability because the same size scope would have cost almost double the price just a few years ago. Considering price difference when compared to the RS32 and RS64 this unit comes in out on top every time. The 320x256 thermal resolution of the PTS 233 will give higher resolution compared to 320x240 resolution of the RS32. While all units could no doubt get the job done, the PTS233 is packed with small extras that make the experience of thermal viewing just that much more enjoyable. 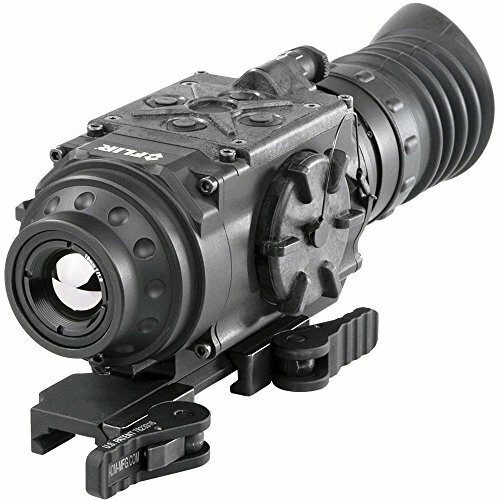 Coming in a close second to the PTS233 is the FLIR RS32 designed specifically with longer distance optics as its main focus. 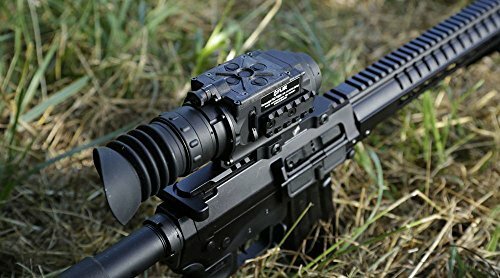 It uses the FLIR Tau2 17 microbolometer sensor and has the ability to house a series of three different lenses all for optimized, long distance viewing. Regardless of the terrain where you operate this ability will come in handy. It gives you that extra scope of distance while also allowing you to keep some extended distance from the predators. Public commentary around the RS32 is generally positive, dubbing the unit a pretty solid and well performing device all round. While the unit may not be able to house recorded imagery, it does allow for a cable that can easily link to a DVR for recording if needed. Something worth mentioning is the noticeably higher cost of the RS32 when compared to the newer, more modern PTS233 unit. We can’t really see much justification for this other than its ability to shoot over longer distances, built in battery life and better water resistance. So, if this is a personal preference for you then the extra dollars will be worth it. Another more costly unit when compared to the PTS233, the FLIR RS64 offers many similarities to the RS32 unit. Also fitted with the FLIR Tau2 17 microbolometer sensor that allows for 640x480 thermal resolution. The RS64 has several different fixed lens options. Most notable on this device is its incredible 16x zoom function. The 16x zoom if effective because of the higher thermal resolution and display resolution unlike with the above models. Another benefit is having a wider field of view and the ability to zoom, the RS64 35mm is going to be better compared to higher powered optics that have a narrower field of view, almost four times the ability of its counterparts. While this unit wouldn’t necessarily be our first choice from the three, it is certainly ahead of the thermal game in many distinguishable ways. As a thermal viewing until on a whole it offers a well rounded and inclusive experience with all the basics one needs when out in the field. Added features such as video recording can be linked easily to the device. Also, since all the lenses are already fixed there’s no need to carry additional pieces of equipment into the field. Thermo vision is an ever changing, ever evolving industry. Year after year we see the advancement of both heat and distance sensors. As these advancements find their way into our hunting lives it becomes a field of endless opportunity in optimizing one’s experience out in the field. 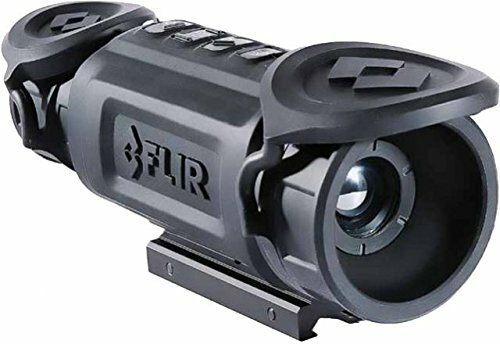 FLIR is a brand you can trust: A brand that is conscious of the varying needs of each different hunter and one that attempts to create something for everyone in the form of thermal viewing. So, the question is which unit from FLIR most tickles your hunting fancy?